Tony Award winner Bartlett Sher’s bold new production probes the psychological underpinnings of Verdi’s dynamic setting of Shakespeare’s great tragedy. At the helm of this performance is riveting conductor Yannick Nézet-Séguin, who brings out all the cascading emotions in Verdi’s turbulent score. Aleksandrs Antonenko is the Moor Otello, the triumphant general of the Venetian army who is ultimately brought down by the sly insinuations of his friend Iago (Željko Lučić). Sonya Yoncheva continues to win fans as Desdemona, Otello’s faithful and long-suffering wife. 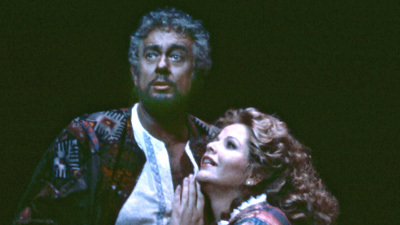 With Günther Groissböck as Lodovico and Dimitri Pittas as Cassio.